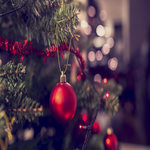 People working a program of recovery are acutely familiar with the dangers that holidays pose, do to the fact that relapse is especially common this time of year. While the reasons for relapse are varied, the end result is typically the same. After which it can be difficult to dust yourself off, and recommit to the program—the byproduct of the shame and guilt that one puts on them self after a relapse. Anyone who has experienced a relapse can tell you that facing one’s recovery peers after such an ordeal is a humbling experience. However, at the end of the day, the relapse itself is not what is important, it is what one chooses do after that counts the most. It takes a lot of courage to pull oneself together, and sit down with one’s sponsor in order to figure out the areas that need to be worked on. Restarting the clock of sobriety is no easy task, and it is a sign of strength to get up in front of your homegroup and identify as a “newcomer,” once again. Every day of sobriety is hard fought. Having two-days sober is just as valuable as having a year. There is a reason that the mantra of the program is to “live life one day at a time.” We must reinvest our energy each day to maintain a constant connection with our "higher power," share at meetings and be of service to others in life. It could be argued that if people working a program need to give 100 percent to their program day in and day out, then holidays require 110 percent. Preventing relapse during the holidays is group effort. Starting tonight, there will be recovery meetings for 24-hours straight. People who make a point to attend one or more meetings during Christmas are less likely to have what is called “stinkin’ thinkin’.” That is, thinking that it would be OK to go places that might jeopardize your recovery or that there would be little harm in having a couple drinks. To be sure, such a thought only seems reasonable until you take that first sip of alcohol. The feelings that precede the event typically take the form of guilt and regret, for having thrown away what you have been working hard to achieve. Today is Christmas Eve. Many of you will be spending some of the day with family, which can bring about stress. Left unchecked, such discomfort can quickly result in bad decisions. We cannot stress enough just how important it is to keep one’s finger on the pulse of their recovery. If you find yourself getting worked-up tomorrow, call your sponsor immediately and get yourself to a meeting ASAP. Relapse does not have to be a part of your story this Christmas. If you use the skills you have learned in the rooms of recovery, you should be able to make it through the day unscathed. That is our sincere wish at Hope by The Sea this Christmas.